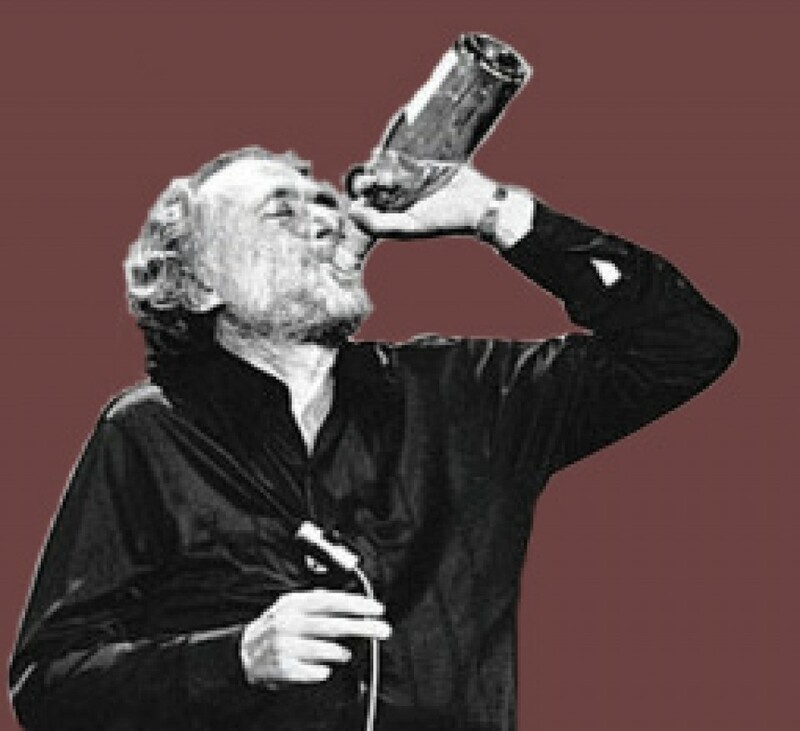 Italian wine – Would Bukowski Drink It? I am still very much a novice with Italian wines and hope to take a class or attend a region specific tasting to educate myself soon. I seem to be comfortable with Chiantis since they are affordable and the least intimidating. 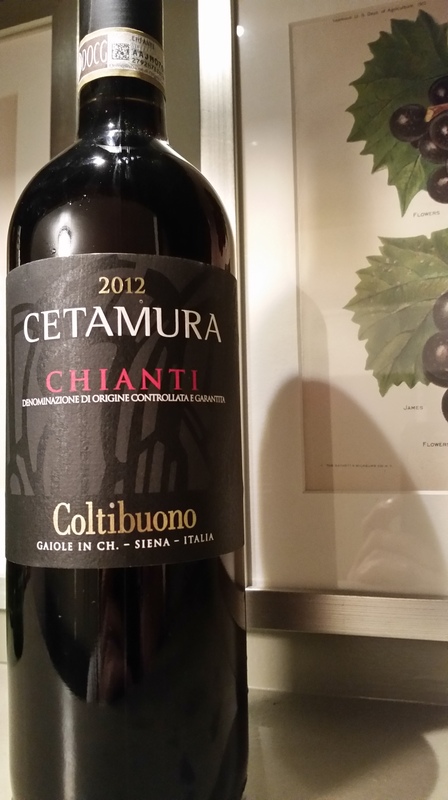 I was having eggplant parmesan for dinner and the Badia a Coltibuono “Cetamura” Chianti jumped off the shelf at my local market. The color of the wine is a bright garnet plum red. Short legs in the glass. The nose of the wine is full of cherries with light oak and smoke as well as tobacco and leather with the above mentioned clove and cinnamon. I also detected a bit of a flinty (pumice) note. The taste of the wine is likewise full of cherries as well as plums with oak, a slight licorice and sassafras flavor with a touch of violets. Full bodied yet still fruity. Dry with a long finish and soft well developed tannins. Overall quite enjoyable and recommended. Very much an old world style wine which is what you expect from a Chianti. For food pairing, of course, the Badia a Coltibuono “Cetamura” Chianti is a natural match for Italian foods especially those with tomatoes and more rustic flavors. For cheese I would recommend Pecorino, Grana Padano and Aged Asiago. The rich drier sharp flavors of these cheeses and the full bodied Chianti will compliment each other nicely. Francesco Bonfio is not a made up Italian name. He is a wine merchant in Sienna and a friend who has been producing reasonably priced, honest Chianti for many years. This is not your big, extracted Brunello wannabe Chianti but rather a gentle, elegant wine with aromas of red fruit and fresh earth, a silky, softly tannic structure and pretty cherry/plum fruit. As with most Italian wines it shines with food and we would recommend simple pastas, roast chicken, pork or something with the aforementioned chanterelles. I am fond of Chianti when having Italian food and on this particular evening it was pasta and meatballs. Like most Chianti wines in this price range, it’s a very drinkable everyday wine and excellent with a meal. My first impression was that it was on the dry side. I got a lot more of a chalky mouth feel and a lot of earthy tones first off. The finish brought out some subtle fruit (cranberry and pie cherries, more tart than sweet). 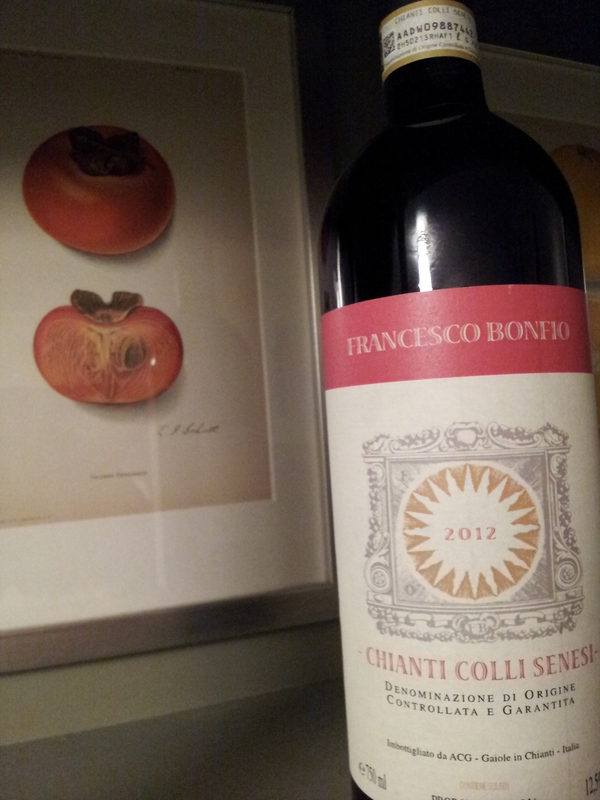 The Francesco Bonfio “Chianti Colli Senesi ” is subtle and not bold like some Chianti wines can be. Overall I enjoyed it. It’s a value at its price and I would recommend it for drinking with a meal. On it’s own it may be a little too subtle. Would Bukowski Drink It? Gimme that bottle.